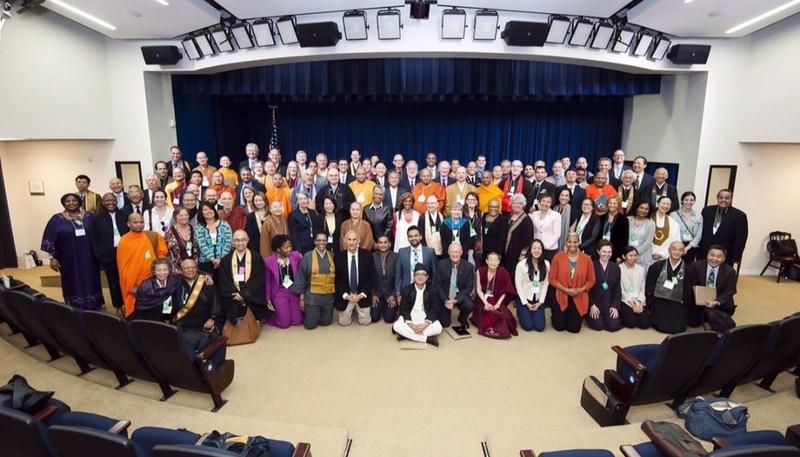 While I am ambivalent about a designation of Buddhist “leaders” — and can think of many other friends and elders who could have, should have been in the room—in this event the notion of leadership cuts in two directions. A remarkably diverse group of women and men were meeting to shape a common understanding of how to bring our various Buddhist practices into a troubled world. 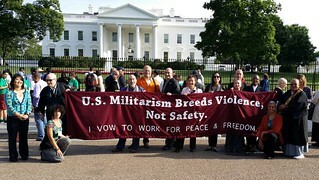 At the same time there was a unique opportunity to be in dialogue with White House and State Department staff interested in finding Buddhist allies to work on issues of climate change, racial justice, and peacebuilding. Point person for this all-day event was William Aiken, public affairs director for Soka Gakai International, with help from Ven. 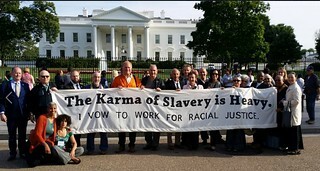 Bhikkhu Bodhi of Buddhist Global Relief, Dr. Sallie King of James Madison University, the International Buddhist Committee of Washington DC, and Dr. Duncan Ryuken Williams of University of Southern California. With all their respective contacts and networks, this was a remarkable gathering, with wide and unique diversity in race, nationality, gender, and Buddhist traditions. After a vegetarian box lunch and a brief time to make new acquaintances in four topical breakout groups, we all strolled a few blocks to meet with staff at the “working White House” of the Eisenhower Executive Office Building. 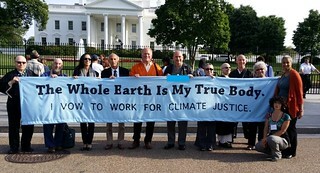 There was a quick hand-off to White House staffers of two Buddhist declarations — one on climate change and another on racial justice. Then followed two and a half hours of staff briefings along with sometimes pointed Q & A between Buddhists and staff. Our discussants were: Melissa Rogers of the White House Office of Faith-based and Community Partnerships; Dr. Shaun Casey, the State Dept.’s Special Representative. for Religion and Global Affairs; Rev. Susan Hayward, Interim Director, Religion and Peacebuilding, US Institute of Peace: and Angela Barranco from the White House Council for Environmental Quality (CON).